Food historians tell us the history of soup is probably as old as the history of cooking. The act of combining various ingredients in a large pot to create a nutritious, filling, easily digested, simple to make/serve food was inevitable. This made it the perfect choice for both sedentary and travelling cultures, rich and poor, healthy people and invalids. Soup (and stews, pottages, porridges, gruels, etc.) evolved according to local ingredients and tastes. New England chowder, Spanish gazpacho, Russian borscht, Italian minestrone, French onion, Chinese won ton and Campbell’s tomato…are all variations on the same theme. Advancements in science enabled soups to take many forms…portable, canned, dehydrated, microwave-ready. “Pocket soup” was carried by colonial travellers, as it could easily be reconstituted with a little hot water. Canned and dehydrated soups were available in the 19th century. These supplied the military, covered wagon trains, cowboy chuck wagons, and the home pantry. Advances in science also permitted the adjustment of nutrients to fit specific dietary needs (low salt, high fiber, etc.). Buffet-style entertaining caught on in America during the Great Depression. At home it required little or no maid service and enabled the hostess to present a splendid table. Restaurants studied this trend and capitalized on it. The Prix fixe dining option was not a new concept. Neither was all-you-can-eat. Colonial taverns, grand passenger ships, college dining halls and Victorian eating clubs were founded on these principles. Remember the Belgian waffles served at the New York World’s Fair, 1964-1965? Thick, chewy, hot and delicious. Who knew? Waffles could be the perfect dessert! [NOTE: Additional NYC World’s Fair Fare here. One quart of flour, and a teaspoonful of salt. One quart of milk, with a tablespoonful of melted butter in it, and mixed with the flour gradually, so as not to have lumps. Three tablespoonfuls of distillery yeast. When raised, two well-beaten eggs. Bake in waffle-irons well oiled with lard each time they are used. Lay one side on coals, and in about two minutes turn the other side to the coals. What is the difference between soup and stew? On the most basic level there is no absolute difference. Like ancient pottage, both soup and stew descend from economical, easy, healthy, forgiving, and locally sourced family feeds. Throughout time, these two interrelated menu items converge and diverge. Modern American cultural context does, however, separate soup from stew quite simply. The test is not in the ingredients or method, but which course it is served. Soup is starter/accompaniment; stew is main course. Soup, in some contexts, variously became regarded as haute cuisine (consomme, vichyssoise), healthful restoratifs (18th century French Restaurants & Jewish grandmother chicken soup), and economical family fare (commercial vegetable beef, tomato). Soup can be served as first course (classic menu), lunch (paired with sandwich or salad) and dessert (fruit soup). It can be served hot (most) or cold (gazpacho, cucumber). Either way, the stock reigns supreme. Stew is generally appreciated in larger chunks as main course, always served warm. Slow cooking renders tough cuts of meat delicious. The fact “stew” was a verb before it was a noun means much. Deliberate slow cooking with minimal moisture produces amazing results. Stew is generally regarded as community feed ( Brunswick Stew, Kentucky Burgoo & Booya) or family fare; not eligible for haute cuisine. The best way to compare definitions of two terms is take them from the same source. It is interesting to note Escoffier does not attempt to define the differences. If you’re examining the differences within a specific culture/cuisine/period context, compare soup and stew recipes offered in cookbooks serving your target period. Menus confirm meal placement. http://letoilecatering.com/wp-content/uploads/2013/04/letoile-catering-logo-trans1-300x137.png 0 0 Mark Gresge http://letoilecatering.com/wp-content/uploads/2013/04/letoile-catering-logo-trans1-300x137.png Mark Gresge2016-01-06 06:55:522016-01-06 06:55:52Soup or Stew? Huge as a cat’s head, served up hot with with Sawmill Gravy. An Appalchian down-home favorite! http://letoilecatering.com/wp-content/uploads/2013/04/letoile-catering-logo-trans1-300x137.png 0 0 Mark Gresge http://letoilecatering.com/wp-content/uploads/2013/04/letoile-catering-logo-trans1-300x137.png Mark Gresge2016-01-05 08:38:252016-01-05 08:38:25Cats Head Biscuits!! According to the food historians, baking soda [bicarbonate of soda] dates back to ancient civilization. It was not until the mid-19th century, however, that it was regularly used by English and American cooks. The most comprehensive discussion of the history of this topic may be found in English Bread and Yeast Cookery, Elizabeth David [Penguin:Middlesex England] 1977. Your librarian can help you find a copy. “The alkaline component of baking powder is usually Bicarbonate of Soda, also known as baking soda. The first type, invented in the USA in 1790 was pearl ash’, potassium carbonate prepared from wood ash. This provided only the alkali; the acid had come from some other ingredients, for example sour mlk. Pearl ash reacted with fats in the food, forming soap which gave an unpleasant taste. Soon it was replaced by bicarbonate of soda, which still reacts in this was but to a much smaller extent. An American name used for either of these alkali-only agents was saleratus. True baking powder, containing both bicarbonate of soda and an acid, was introduced around 1850. The acid was cream of tartar or tartaric acid, both of which conveniently form crystals. This was mixed with a little starch to take up moisture and so keep the other components dry, so that they did not react prematurely. A disadvantage of this mixture was that is sprang into rapid action as soon as it was wetted, so that the dough had to mixed quickly and put straight into the oven before the reaction stopped. Sugarplums belong to the comfit family, a confection traditionally composed of tiny sugar-coated seeds. The Oxford English Dictionary defines the word sugarplum thusly: “A small round or oval sweetmeat, made of boiled sugared and variously flavoured and coloured; a comfit.” The earliest mention of this particular food is 1668. The term also has another meaning “Something very pleasing or agreeable; esp. when given as a sop or bribe,” which dates to 1608. Visions of sugarplums/Sharon Cohen…history and instructions for making them. WHAT ABOUT THE CANDY CANE? The origin of the candy cane is an interesting study of food lore and legend. It is easy to find information on this topic in books and on the Internet. The most popular story is the one about the German choirmaster who handed these out to his young singers in 1670 to keep them quite during a long church service. There is also controversy as to the origin of the shape. Does it represent a shepherd’s crook? Or the letter “J” for Jesus? Bear in mind, most of these stories are undocumented. http://letoilecatering.com/wp-content/uploads/2013/04/letoile-catering-logo-trans1-300x137.png 0 0 Mark Gresge http://letoilecatering.com/wp-content/uploads/2013/04/letoile-catering-logo-trans1-300x137.png Mark Gresge2015-12-20 11:03:332015-12-20 11:03:33Candy Cane! Cakes of all shapes and sizes (including smaller items such as cookies) have been part of festive holiday rituals long before Christmas. Ancient cooks prepared sweet baked goods to mark significant occasions. Many of these recipes and ingredients (cinnamon, ginger, black pepper, almonds, dried fruits etc.) were introduced to Europe in the Middle Ages. They were highly prized and quickly incorporated into European baked goods. Christmas cookies, as we know them today, trace their roots to these Medieval European recipes. Dutch and German settlers introduced cookie cutters, decorative molds, and festive holiday decorations to America. Dutch New Year’s cookies were also sometimes molded into fancy shapes. German lebkuchen (gingerbread) was probably the first cake/cookie traditionally associated with Christmas. 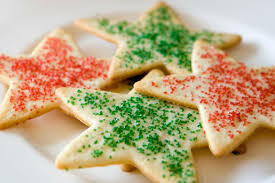 Sugar cookie type recipes descended from English traditions. Did you know Animal crackers began as edible ornaments? Bring us some Figgie Pudding!! Christmas pudding dates back to Medieval times. Traditionally made on Stir up Sunday, this special dessert contains charms symbolizing good luck for the New Year. Hard sauce was introduced in the 19th century. How old is the tradition? What is the classic recipe? http://letoilecatering.com/wp-content/uploads/2013/04/letoile-catering-logo-trans1-300x137.png 0 0 Mark Gresge http://letoilecatering.com/wp-content/uploads/2013/04/letoile-catering-logo-trans1-300x137.png Mark Gresge2015-12-11 09:21:452015-12-11 09:21:45Bring us some Figgie Pudding! !